Hello everybody and welcome back! Today I wanted to talk to you about getting through those bad mental health days. The ones where it’s slightly harder to think positively and where motivation is non-existent. Everybody has them! Here’s how you can overcome them. Disclaimer: What works for me may not work for you, as everyone experiences things very differently. These are just some things that have helped me to get through bad mental health days. To be ‘selfish’ is defined as lacking consideration for other people. It has negative connotations. For example, as children we are told to share with others; and to not be selfish. But is being selfish really a bad thing? It can be difficult to be selfish and to put yourself first on difficult mental health days. Sometimes individuals feel undeserving of self-care and taking time out. It’s at these times when self-care is needed the most. The most important relationship that you have with anybody is yourself. Fall in love with taking care of yourself. It’s the greatest medicine. Self-care can be practiced in multiple ways. For example, meditation, journaling and reading. But it also comes in unconventional forms, like saying no to the extra shift at work, eating three meals everyday, getting yourself out of the house, attending appointments and taking medication. By setting small goals for yourself to do these things, it brings a sense of achievement and a positive association between being ‘selfish’ and recovery from mental illness. As I am still in recovery, my goals have changed. They’ve changed from ‘get myself out of bed in the morning’ to ‘getting my university place to become a mental health nurse’. By ticking off goals at the end of the day, you’re showing a dedication to getting better. If in your darkest moment you can consciously choose to stay alive and fight against mental illness, you will get there one day. Simply having a shower and putting on some clean clothes can make a huge difference to your mood. It can be helpful to visualise the water washing away the negative emotions and feelings which have been consuming you. Leaving you feeling alot lighter and able to face the day. Sometimes a trigger can leave overwhelming emotions bottled up inside of you, and keeping them there can cause more harm than good. Sooner or later it will burst open and can make you behave irrationally. Expression allows individuals to release their negative emotions safely. Forms of expression could be blogging, writing, painting, singing, exercising and baking. Putting this negative energy out of your body feels like a huge weight off your shoulders. It prevents individuals turning to unhelpful coping mechanisms. This also acts as a distraction from the racing thoughts which accompany some mental illnesses. In the moment it can be challenging to initially get started: picking up a paintbrush or putting on your trainers. At this point you need to remind yourself that you are deserving of getting better and it is another step towards your recovery. Isolating yourself can be dangerous because it allows negative thoughts to take over and gain control. Being with others is a distraction and it proves that you aren’t alone. Suffering from any mental illness can feel extremely lonely, but negative thoughts can be contradicted by the people around you, reinforcing that you are loved and needed in this world. Breaking away from your room on a bad mental health day is so important! Although, it is also incredibly difficult and scary when you are struggling with mental illness. It can feel like a huge effort to go outside. But, I do believe that being in the fresh air and watching the world go by has helped with my recovery. When I am having a bad day, I find it very easy to pick out things that I don’t like about myself, and things that I could of done better or should be doing. To pull myself out of this self-destructive mindset, I reach towards things that I have done which I feel proud of. When I read the comments on my blog posts I instantly feel appreciated, needed and that I am helping people, which I love to do. Consequently, reading text messages or birthday cards, listening to voicemails and talking to family members can help you to bring light on how much you have achieved in your lifetime, and how proud you should feel of yourself. It is very easy to focus on the bad things which are happening in our lives. We get caught up in a series of negative emotions and forget to appreciate the smaller, positive moments. Getting into the habit of writing a list of things you are grateful for, at the end of your day, can help you to feel happier and more present. If you are having a series of continual bad mental health days, and feel that you are developing a mental health problem, please seek help. This can be extremely difficult, so it may be helpful for you to tell someone you trust how you are feeling. This means that they can support you throughout this process. If you are in a crisis and need help urgently, you can go to any A&E department and ask for help. Alternatively, you can contact the Samaritans on 116 123. How do you get through a bad mental health day? Leave me a comment angels! Don’t forget to follow me on Twitter, Instagram and Pinterest! "Ten Things I’ve Learnt From Having A Mental Illness"
These are some great tips. Being a little selfish and practicing self care are so important! What do you do on the days you're not motivated at all and can't bring yourself out of bed to the shower? I agree being around people helps but the right people. Great post! I find it really helpful when I'm around others or when I take some time out to remember what I am grateful for! Thank you for sharing this! As someone who deals with mental health issues I agree that these are all good ways to help get through bad days. Writing down things you are grateful for is a really good exercise, and it's nice to be able to look back on those lists when you are having a bad day and maybe are having a hard time remembering what you are grateful for. I love this post so much. Some of these things should be really obvious, but it can be so hard to put yourself first on those hard days. Thank you! There really is nothing that you can’t do, it’s your mind which tries to convince you otherwise! I’m so glad I happen to stumble upon this blog post. These are all spot-on suggestions. I have personally found Gratitude journaling super effective for keeping my center and my mind at peace. I have realized that we generally tend to be hard on ourselves and forget about our past achievements. Thank you very much! I am really pleased that gratitude journaling works for you! That is a very common trait of many people, we are our own biggest critics sometimes! Of course you can! 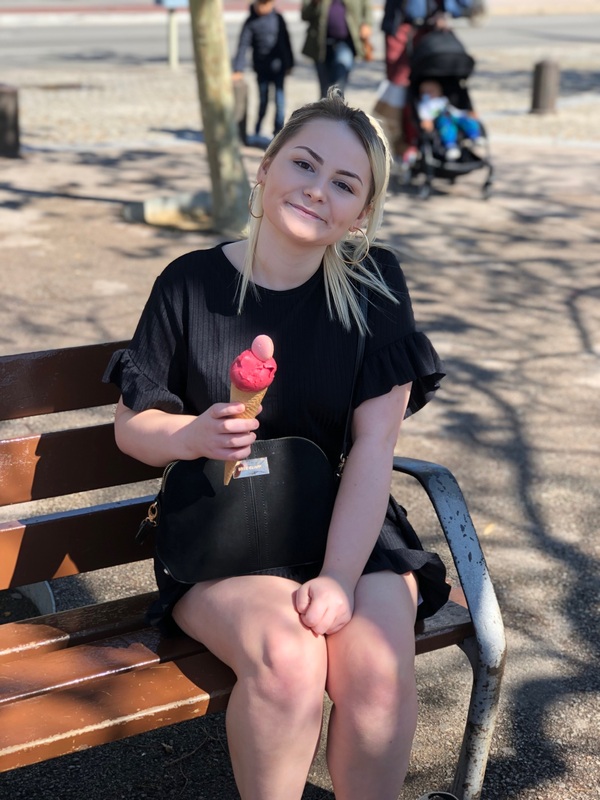 I'm Casey, a 19 year old mental health, lifestyle and travel blogger living on the South coast of England. On my blog you'll find a mixture of mental heath and wellness advice, travel diaries, self-help tips and more. 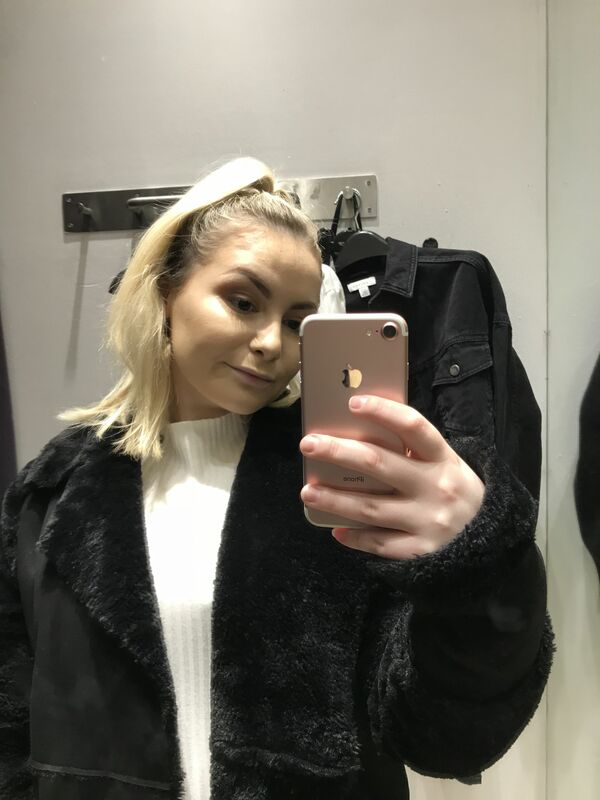 I’m Casey, a 19 year old lifestyle and mental health blogger from the sea-side town Bournemouth. I’m an aspiring Mental Health Nurse and I would like to help sufferers of mental illness in the way that I was helped myself. 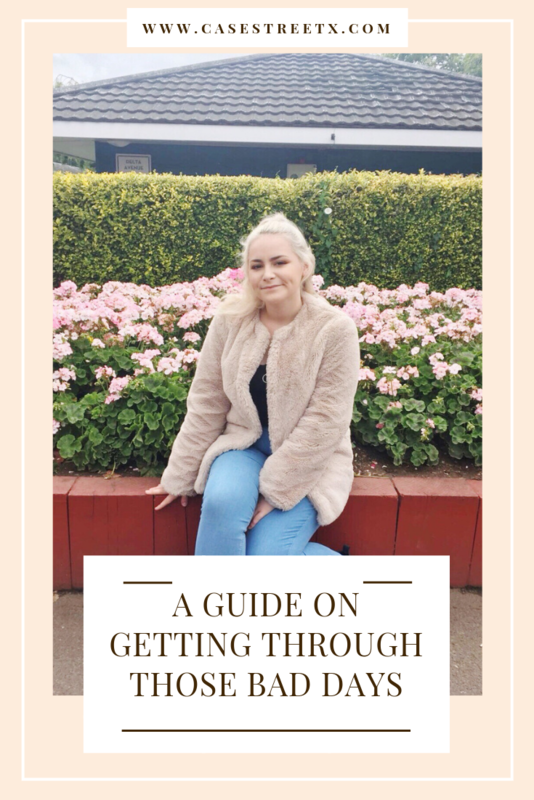 I want my blog to be a place for readers to turn to, for advice and support as they are on their own journeys with mental health. If I am able to help at least one person, it makes sharing my story and being vulnerable all worth it. Enter your email address to subscribe to Casestreetx and receive notifications of new posts by email.